Also known as Pinot Gris, this versatile varietal is one of the fastest-growing white wines in America — although the gray-tinged grapes have been cultivated for centuries in Europe. Grown in Burgundy since the Middle Ages, Pinot Grigio thrives in cool climates from Alsace to Northern Italy to Oregon. 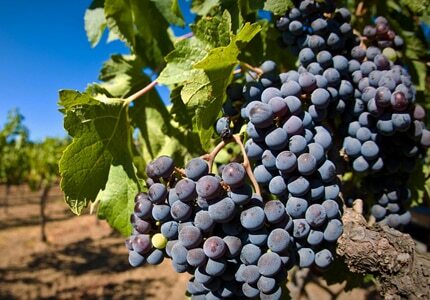 The varietal varies wildly from region to region, yielding wines that range from full-bodied and dry to light and acidic. However, regardless of region, Pinot Grigio is prized around the world for its generous floral bouquet, crisp palate and silky texture. Pinot Grigio is part of the somewhat dysfunctional Pinot family, so named for its tight grape clusters that resemble pine cones. Both Pinot Grigio and Pinot Blanc are mutations of Pinot Noir, the famed red varietal of Burgundy; however, Pinot Grigio is now more closely associated with the Alsace region, whose cool weather and warm volcanic soils provide ideal conditions for the grape. 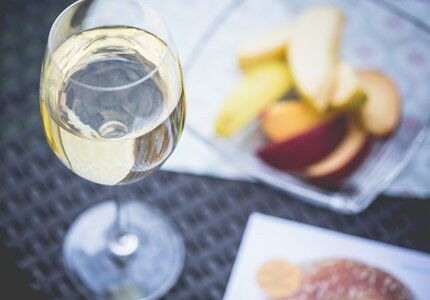 The distinctive Alsatian brand of Pinot Grigio (referred to in France as Pinot Gris) is rich and oily with aromas of buttered toast and honey. The wine's unusually high alcohol content is matched by steep prices that can reach up to $50-$100 per bottle. Although Pinot Grigio is now grown in California, Idaho, Michigan and beyond, Oregon pioneered this cool-climate grape in America. Sometimes labeled Grigio, sometimes Gris, their version is medium-bodied, crisp and strong on fruit flavors and aromas. While Italian winemakers have caught a bad rap for producing thin, unripe, overcropped Pinot Grigio for American drinkers, it's worth searching out some lesser-known wines from the Alpine regions of Friuli and Alto Adige. High up on the thigh of Italy's boot, these viticultural areas are known for their rich and complex Pinot Grigio characterized by tangy acidity and stony minerality. To find it, scan the Italian shelves for out-of place German and Slavic names: Jermann, Attems, Hofstätter, Tiefenbrunner, Kupelwieser, Primosic, Doro Princic and Damijan to name a few. Most Pinot Grigio is best drunk young, and is bottled within 4-12 weeks of fermentation; however, full-bodied Alsatian bottles can age well. We recommend chilling the bottle for two to three hours to achieve an ideal temperature of around 45 degrees. Pinot Grigio pairs well with seafood dishes, light cheeses and pasta with white sauce.